South Haven is for blueberry lovers. 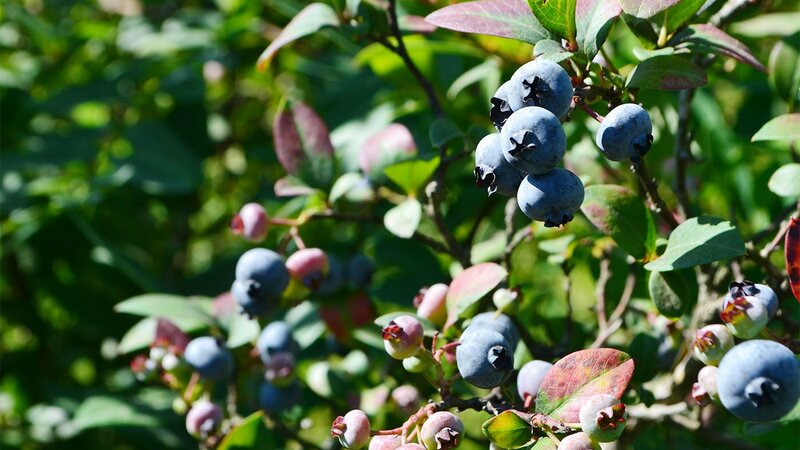 For one weekend every August, the humble fruit takes center stage as blueberry farmers and their fans descend upon the town, located in the epicenter of the state’s blueberry industry, for a four-day festival – including a parade, concerts, and, of course, at least one pie-eating contest – all in honor of that humble fruit. 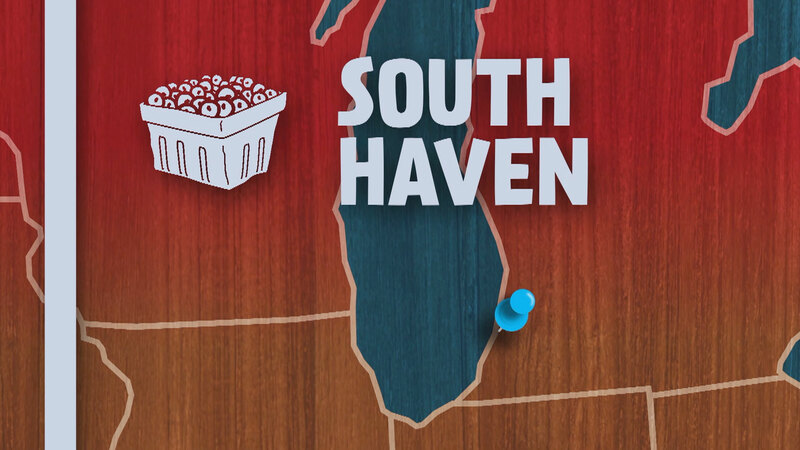 Like many towns on the Michigan coast, South Haven was a bustling port long before the agriculture industry developed here. 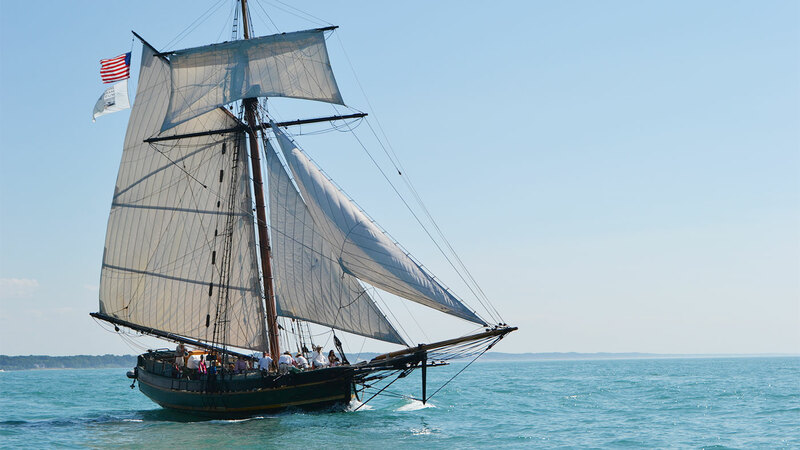 Today, visitors can explore that history at the Michigan Maritime Museum, which has exhibits on all aspects of Lake Michigan seafaring. It also has several replica vessels that allow visitors to get on the water and get a sense of what life was like for the merchants of old. Chief among them is the Friends Good Will, a replica of a merchant ship built in 1810. The ship once supplied Chicago’s Fort Dearborn. It was captured by the British in the War of 1812, recaptured by the Americans, and later burned in a British raid in Buffalo, New York, in 1814. But today, most seafaring is done on powerboats and yachts, and there are several beaches for visitors to enjoy. North Beach is popular for its beach volleyball nets. South Beach is popular for the picturesque lighthouse there, which the Historical Society of South Haven restored in 2012, and the massive playground just inland at Kids Corner. And Van Buren State Park is popular among hikers who want to scale its dunes. Local outfits rent out kayaks and stand-up paddleboards at various locations up and down the beach. There is also a 33-mile trail that starts in South Haven and passes through small towns, countryside, and bridges on its way to Kalamazoo. The Kal-Haven Trail is a rails-to-trails project that is covered with a limestone and slag surface, making it popular with bikers in the warmer months and among snowmobilers in the winter. People catch steelheads and other fish along the Black River. And, of course, vacationers looking to just sit still have many options, among them the popular Cogdal Vineyards just north of town.